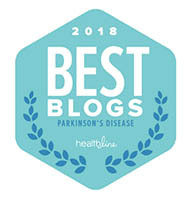 ← AsoftVoice.com Recognized as one of the Best Blogs on Parkinson’s Disease for the 4th Year in a Row! Accept Your Mission! It’s Not Impossible! Focus Your Energy, Wisely! 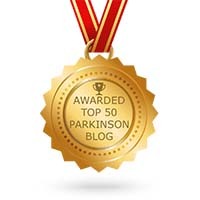 If you are embarrassed, sad, shamed, or lack self confidence about having Parkinson’s, I am here to tell you that you don’t have the energy or time to devote to such unproductive emotions. Stay strong! You have joined a community of amazing, caring, helpful people who are there to support you and encourage you. Spending time on activities that take you away from being your best will only deplete you more. Choosing to be positive and to be your very best can be a reality and not a mushy platitude! It is up to you to make the first move. Admitting and succumbing to the realization that you need help is not weakness but new found strength. Helping oneself to learn about how others are surviving and thriving benefits all involved. This generous group of people with Parkinson’s and care partners are ready and willing to share their experiences of what has worked and what needs improving. There are tomes of great advice, educational videos, supportive medical experts, and organizations with helpful support groups and exercise programs! Be aware that your improvement and care all begins with your passion, diligence, and commitment to getting better. I won’t say that being thrust into the world of Parkinson’s is easy and nor is it your first thought to just accept it and move forward. I had some dark days until I realized that my body, mind, and spirit were in jeopardy. My being is my responsibility. There is plenty of help out there, but you are your greatest resource. Now, build your team! 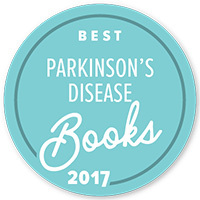 Parkinson’s is an illness that you do not fight, but work with, work around, and find solutions that work for you. In other words, Parkinson’s takes work! I, like you, am on a constant and continuous hunt for wellness or at the very least, some therapy, drug, exercise, or device to improve my condition. I wish you well! Posted on May 31, 2018, in Education & Support, Health, Parkinson's Disease, Philosophy, support groups, Uncategorized, Wellness and tagged a soft voice in a noisy world, Accept Your Mission!, blog, book, diet, Disease, doctor, education, Health, illness, Karl Robb, medicine, Parkinson's Disease, patient, PDPatient, positive thinking, support, wellness. Bookmark the permalink. 1 Comment.